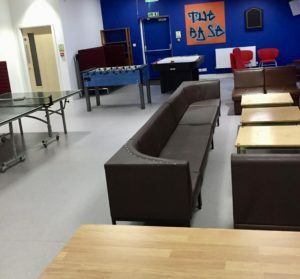 The Base Youth Centre is a perfect venue for party hire, with a maximum capacity of 65 children, aged 7-17 years. 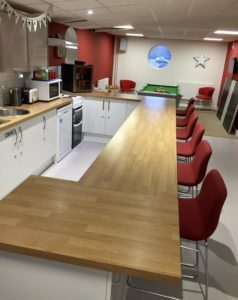 Whether you need space for a disco, an area to play games or just want to take advantage of the centre’s facilities, we have a package for you. Please note that all children attending parties at the youth centre remain the responsibility of their parent/carer at all times. Please ensure that sufficient adults attend to supervise the children throughout (we recommend 1 adult for every 10 children). Hire Costs: £75.00 for 2 hours (plus 15 minutes setting up/clearing away time each side of hiring, free of charge).